We come to your organization and show you how to practically apply change management to all your projects, strategies and initiatives. Change management solutions aren’t one-size-fits-all, which is why we bring our training programs to you. Our role-based, research-backed training programs are designed to help you apply change management to your existing projects, so you can realize immediate benefits. These flexible programs feature pre-work, individual and group work, and post-course support via the eToolkit. Leverage programs custom-built for every level of your organization, from senior executives to frontline employees. Built for diverse learning styles, they include individual and group work, for rich learning experiences. Develop practical strategies that you can apply directly to your projects to drive the results you want. Effective change starts at the top, which is why we speak to sponsors directly and demonstrate to sponsors and executive members exactly how critical change management is to their continued success. We deliver our globally recognized certification program onsite at your organization. Your employees gain the knowledge, skills and tools to help drive successful change initiatives and improve organizational results. Managers are essential to instilling healthy change management habits in their employees. We help managers define their role in change and teach them how to be effective change leaders. We help project managers and change leaders speak the same language. We teach them where and how to integrate project management and change management plans, and how to achieve their objectives and deliver on all of their must-win projects. Reduce resistance to change by helping employees smoothly transition to your evolving organization. Get your employees on board with the new change initiative by showing them how important they are to making it work. Give your change leaders all that they’ll need to build successful change capability in their divisions. Perfect for change management deployment leaders, HR leaders, IT leaders, and anyone else responsible for developing organizational strategies. 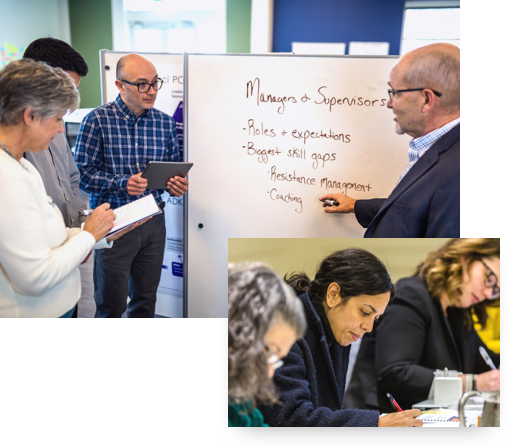 This one-day experiential learning program provides participants with an understanding of the fundamental concepts and organizational benefits of effective change management. The program applies five tenets of change management to a specific project or change initiative to build awareness and desire for change management. 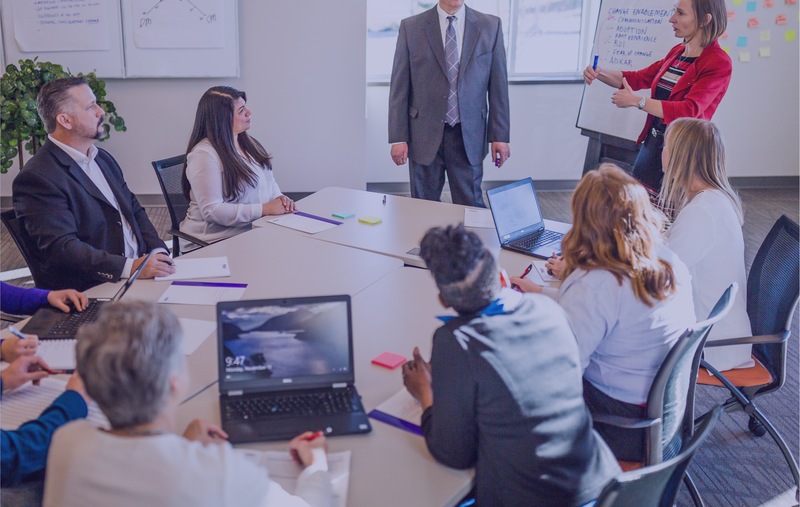 Prosci’s methodology and role-based trainings are uniquely built to work just as well in the academic side of campus as they do on the administration side. But what really set Prosci apart was the Prosci team’s willingness to help us modify their programs to accommodate our distinct needs. Want to make your organization change-ready?